Purchases: From the band | Check your local music store! It's been ages since I've done a music post, hey! And even before the Crystal Castles one, it's been ages...why didn't I post about Theatre is Evil? Sometimes something is too dear to your heart, too connected with your life, that you can't bear to share your thoughts about it. (Props to all artists who put their souls on display!) Anyhow. I just haven't been listening to a lot of new music...I've mostly been listening to AFP and Crystal Castles, haha. This post is going to be more like my Crystal Castles post, more an aggregate of thoughts on the band + music than a review of this specific album. I discovered this band shortly after they released their first album in 2007. I absolutely loved it (I'm very picky about my metal!) and I was pumped when they quickly released a follow-up album. But, sadly, as tends to the be the case with lesser-known European metal bands, there was no option for digital download where in NA. For a number of reasons I can't really recall, I didn't want to spend the $20 to order a physical copy and I had a hell of a time finding a pirate copy. So, I watched the Velatum music video numerous times and then forced myself to be content with the first album. Their third album (2011's Death & Legacy) was much easier to torrent...They recently announced a fourth album to be released in March, coinciding with my resurgent interest in my favourite metal bands (related to me resurgent interest in writing fantasy). I put in the effort and finally got a hold of a copy of Fallen Sanctuary. The search was greatly helped by me going 'Doh' and realizing the album isn't called Velatum...So there you have it, the boring story of why I didn't get one of my favourite band's second albums until now. 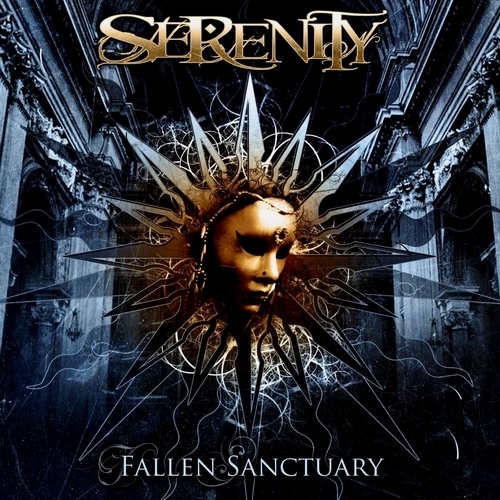 Fallen Sanctuary definitely sounds like a successor to the previous year's Words Untold & Dreams Unlived. A lot is the same, a lot is different. Overall, I feel like the album is more melodic, more grandeur, and more diverse. Each song has a unique flavour to it, usually quickly established in the intro. But this is still melodic metal, it's still sung by Georg and it stills has great lyrics. A perfect balance between experimentation and familiarity!